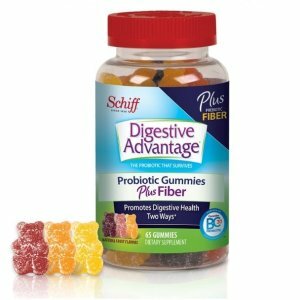 Amazon.com offers the Digestive Advantage Probiotics - Daily Probiotic Gummies, 80 Count for $12.85 via Clip 20% Off Coupon and Subscribe & Save to chekc out. Features: Digestive Advantage Probiotic Gummies contain BC30 probiotic, a unique, patented strain of probiotic with 500 million viable cells per serving. When taken daily, BC30 helps to balance the bacteria within the intestinal tract, helping to facilitate digestion and with continued use, support long-term digestive health and healthy immune function.